Most people tend to fawn over celebrities, but I'm the type of person who is more so enthralled with everyday people who overcome extraordinary obstacles to achieve something that seems impossible. Madam C.J. Walker is one of those people. 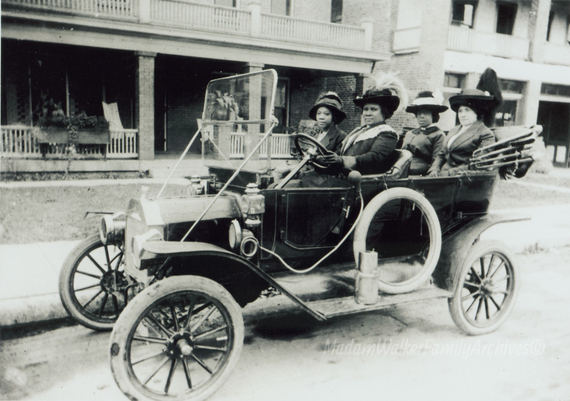 In an era where she utterly had no rights as a black woman in America at the turn of the 20th century Walker did the unimaginable: she started her own business and went down in history as the first American woman to become a self-made millionaire. 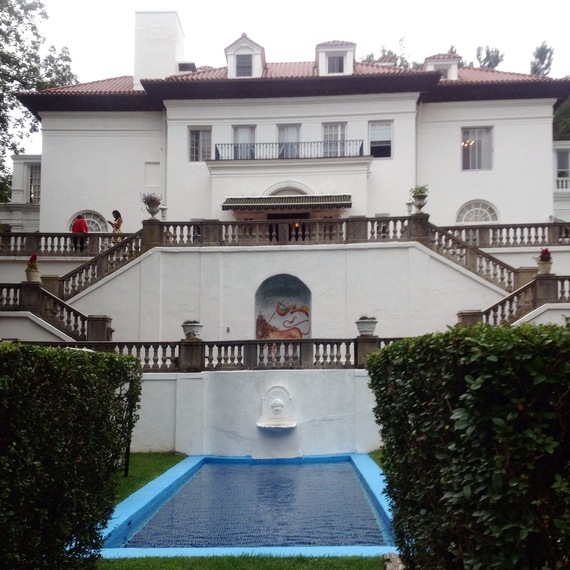 While she gave away most of her fortune to charities and non-profit organizations like the NAACP, some aspects of her legacy remain, including her 34-room Italian-style mansion built in 1918 in Irvington, NY known as Villa Lewaro. I was lucky enough to get a chance to see the grand home for myself and have a tour inside the 20,000 square-foot mansion Walker called home in the final year of her life. Keeping the history in mind as you move through the home using the marble staircase, and walk through the various floors and into the rooms with hand painted ceilings and gold foil column embroidery along the walls, you see not just an amazing house, but the physical manifestation of a woman with strength and fortitude. Although society viewed her as less than, she had a greater vision for herself and a desire to inspire her race for generations to come. She paid the "black tax" -- which was essentially more than double the going rate -- to live in what was one of the richest areas in America to live at the time alongside the likes of the Rockefellers. She hired a black architect named Vertner Tandy (who is one of the co-founders of Alpha Phi Alpha Fraternity, Inc. and was one of the first members of the American Institute of Architects) to create the mansion along with a 4,000 square foot detached carriage house overlooking the Hudson River. 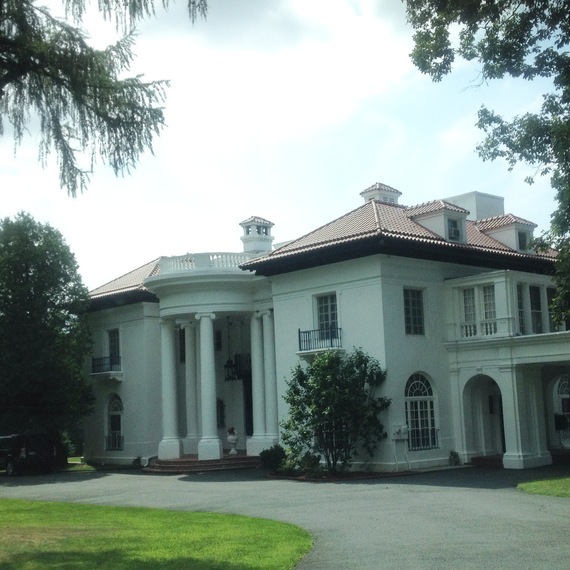 Over the last twenty years, the home has been privately owned by Ambassador and Mrs. Harold E. Doley Jr. They've dedicated themselves to preserving the home and maintaining the historic integrity. That effort is sorely needed as physical structures that pay homage to the greatness of black history are too often discarded and forgotten. It's that same dedication that lead the current owners along with Walker's great-great granddaughter to team up with the National Trust for Historic Preservation to ensure that the proper legal protections are in place to maintain the historic integrity along with a responsible way to financially sustain the house for the future. The home is not currently open to the public, but perhaps one day it will be, in some capacity. 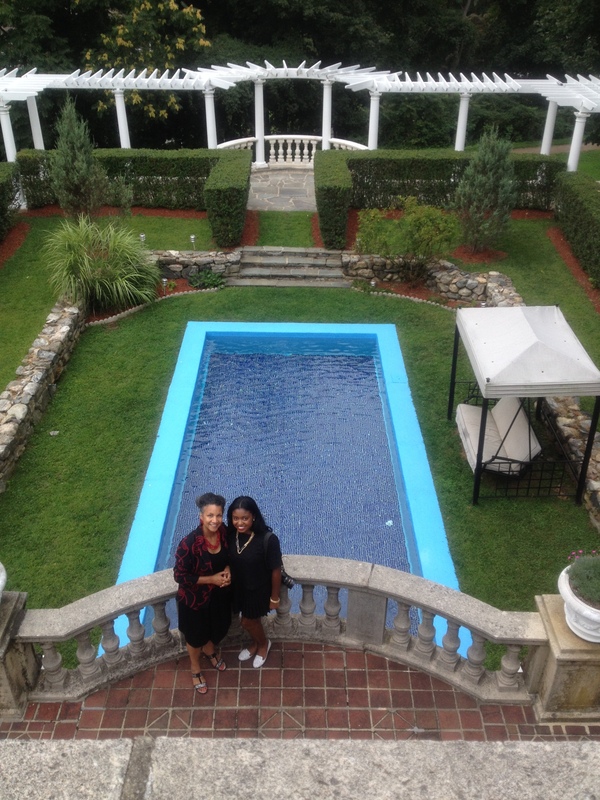 After touring the grand estate, I couldn't help but take a moment to speak with Madam Walker's great-great granddaughter A'Lelia Bundles, who is currently working on a book about the life of her namesake (Walker's only daughter) "The Joy Goddess of Harlem: A'Lelia Walker and the Harlem Renaissance." She shared with me how she discovered the great story of her family's legacy and where her great-great grandmother's haircare company stands today. How does it feel to walk into this home and know you're related to the woman behind all this? This is the most amazing most magical place there is. Now I'm not overwhelmed when I come in. Some of my first visits I was just in awe. But what I see is someplace that's very accessible that was designed for people to feel comfortable and it was designed for Madam Walker to be able to rest. She had worked all of her life so hard, washing other people's clothes, traveling all over the country, all over the world, and she wanted to create a space that was peaceful and that was welcoming and I think that's what this place is. Anybody who comes in the door will feel her spirit, and will feel welcomed and will feel comfortable. Do you remember when you were first learned about Madam Walker? When I was growing up, the silverware that we used everyday had her monogram on it. The baby grand piano that I learned to play music on had belonged to her daughter, and my mother was Vice President of the Madam CJ Walker Manufacturing company. The Walker family, the Walker legacy was very much apart of my life when I was growing up but it wasn't overwhelming because my mother was wise enough not to make it overwhelming. She wanted me to discover it on my own. So the silverware we used everyday had Madam Walker's monogram, the baby grand piano I learned to read music on had belonged to Madam Walker's daughter, my namesake A'Lelia Walker. But I was really able to come to this story on my own. Through the years I did research about Madam Walker. I wrote my Master's paper when I was in graduate school at Columbia Journalism. Knowing the legacy of Madam Walker impact you professionally as a journalist and now a biographer? Did it fuel you? I'd have to say my parents are really my greatest role models and there's so many other people, women African-Americans who are people who inspire us. But knowing Madam Walker's stories and knowing the obstacles she overcame really gave me an extra umph a little extra spark. So when I hear people say who are the real Americans, who really built America? What I know from her story and from the stories of all the people she interacted with, the people of her generation and the next generation, we built this country. We are the people who made America possible, along with all the other people. But we are an intricate part of it. Black history gets pushed to the side, but black history is American history. There would be no America without African-Americans who contributed to the building of this country. What's something about Madam CJ Walker that not many people know that you've come across doing your research? I think most people when they hear the name Madam Walker they think, 'oh! She's the hair lady!' And they may even think, 'oh! she invented the hotcomb.' She did not invent the hotcomb. But what I think most people don't know is that in addition to being an amazing pioneer of the African American haircare and cosmetic industry she also was a patron of the arts who supported young African-American musicians and actors. She was a political activist who contributed a great deal of money to the NAACP's anti-lynching fund. She was an advocate for women's economic independence and provided jobs for thousands of African-American women. People want to pigeonhole her as somebody who was the hair lady but she was in fact a pioneer of the hair industry, but she also was an entrepreneur, a philanthropist, a political activist. What's the status of her company today? I'm so excited about this because the Walker company is still in business. The company was sold in the 80s. The people who bought the company and who owned it for 30 years really didn't do a great deal with the company, but there is a new owner. The new owner has owned it for a couple of years and is really sort of reinventing reimagining it. There's not a lot of publicity around it yet because they haven't launched a new line, but in the next year or so it will re-emerge so that makes me very excited. Have you ever used any of her products before? Absolutely. When I was a kid, we had Madam Walker's hair conditioning cream. My mother would oil my scalp with Madam Walker's hair conditioning cream which wasn't one of the original products but one of the products that was made later. We would use the Madam Walker shampoo and vapoil was another one which was kind of a combination of gel and oil. I don't know what would be comparable to it today. But her original products were really very heavy oils. Really what she was trying to address when she started her company in 1906 was scalp disease. It's hard to imagine this but more than 100 years ago most Americans didn't have indoor plumbing, therefore they didn't bathe very often, they washed their hair even less often, they didn't have electricity they didn't have central heating. So when people were only able to wash their hair once a month, or they didn't wash it at all during the winter, they had really horrible dandruff, so they kept their heads covered. They were going bald because they had such bad dandruff and they had sores on their scalps. Her real challenge was to get women to wash their hair more often, to cleanse their scalps, once their scalps were clean they applied this ointment that contained sulfur, and sulfur healed the scabs and the dandruff on their scalp and then their hair grew back. Do you see your great great grandmother's influence in the conversation about black hair and the black hair care industry today? It's really wonderful for me when people like Titi and Miko Branch of Miss Jessie's, they called me when they were starting out and they said, we've read your book, our mother gave us a copy of your book, and that inspired us. We were going to do one thing and we decided to do something else. When the sister who started Warm Spirit Nadine Thompson started her company she told me she was inspired by Madam Walker. I never met Lisa Price but I read her comments about Madam Walker. Leila Noelliste who does Black Girl Long Hair, has written about Madam Walker and has interviewed me. I know this generation of bloggers and hair care entrepreneurs are inspired by Madam Walker. I wrote the foreword to Titi and Miko's new book that will be out soon. I know that Madam Walker has had an influence in inspiring this generation and that makes me feel very good. To see photos of Walker's home and learn more about the history of it check out my full article over on HerAgenda.com.